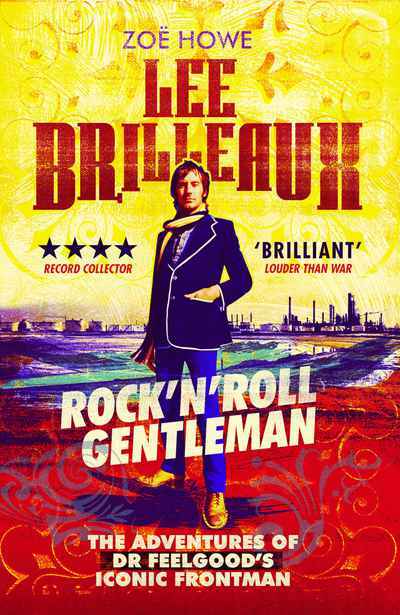 Lee Brilleaux, the uniquely charismatic star of proto-punk R&B reprobates Dr Feelgood, was one of rock'n'roll's greatest frontmen. But he was also one of its greatest gentlemen - a class act with heart, fire, wanderlust and a wild streak. Exploding out of Canvey Island in the early 1970s - an age of glam rock, post-hippy folk and pop androgyny - the Feelgoods, with Lee Brilleaux and Wilko Johnson at the helm, charged into London, grabbed the pub rock scene by the throat and sparked a revolutionary new era, proving that you didn't have to be middle class, wearing the 'right clothes' or living in the 'right place' to succeed. Lee Brilleaux: Rock'n'Roll Gentleman, while a totally different work, is a companion of sorts to the hugely popular Wilko Johnson book: Looking Back at Me (also co-authored by Howe). Published with the blessing of Lee's widow Shirley, this is an exhilarating, eye-opening collection of exclusive interviews, memories and unseen drawings and images - the first comprehensive appreciation of Lee Brilleaux and a book no Dr Feelgood fan would wish to be without.